Pest Expert Formula 'C' Cockroach Spray is a fast-acting insecticide with a long-lasting residual that maintains cockroach control. Pest Expert Formula 'C' is a highly-effective insecticidal cockroach spray that offers both fast-acting and long-lasting cockroach control. The most powerful cockroach killer available to the amateur market, as well as achieving a rapid knockdown it also leaves a protective residue that continues to kill cockroaches for up to 12 weeks after application. A 5-litre container provides enough insecticide to treat an area of approx 100m2. Administer spray to affected areas, paying particular attention to the edges of the room, around pipes and drains, and any other cracks and crevices which may be harbouring cockroaches. Also inspect inside kitchen units, under sinks, behind appliances and between tiles/floorboards etc and treat as necessary. Do not apply spray to food preparation surfaces. Avoid cleaning the treated areas for as long as possible as this will remove the protective residue. 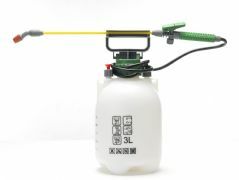 When carrying out a cockroach treatment to a large area, we recommend using one of our Pressure Sprayers to enable an even distribution of the Formula 'C' insecticide and help you achieve a professional application (see Related Products below). For a more comprehensive treatment, fumigation devices such as Formula 'P' Foggers or Smoke Bombs should be added along with Pest Expert Formula 'P' Powder for use where spray is not suitable (e.g. around power points, behind electrical appliances/equipment). Cockroach traps are also recommended as they help trap and kill cockroaches and are also a good way of identifying the location of harbourages, establishing the size of an infestation and helping monitor activity following treatment. For the best value for money please see our Cockroach Killer Kits, which contain a combination of our best products, including Pest Expert Formula 'C' Cockroach Spray, Formula 'P' Cockroach Powder and Cockroach Traps. Happy with my purchase, only had a small problem but thought I'd opt for the larger container! Worked extremely well and I have plenty of product left if they ever return! Not problems with Pest Expert! Regularly use their rat poison but had a slightly different problem this time! So I opted for Formula C and just like their rat poison, it works! Fantastic value for money! Fast delivery and most importantly the product worked really well! Easy to use and very effective! Used across the whole house and have not seen a cockroach since! Fingers crossed that's the last of them! Highly effective spray! Used in a commercial kitchen and really did the trick!